May begins our summer season with the 38th Annual Mountain Film Festival over Memorial Day weekend. www.mountainfilm.org/festival. Since we moved here in 1978, this has been one of our favorite perennial events. It’s not unusual to see a little wet snow over the weekend, which for us marks the end of our two month spring off-season. Restaurants re-open and life returns to main street. The grass is green, and by the end of the month we start seeing trees glow a little green. The Gondola re-opens transporting people between Mountain Village and Telluride. June can be one of our driest sunniest warmest months of the year. 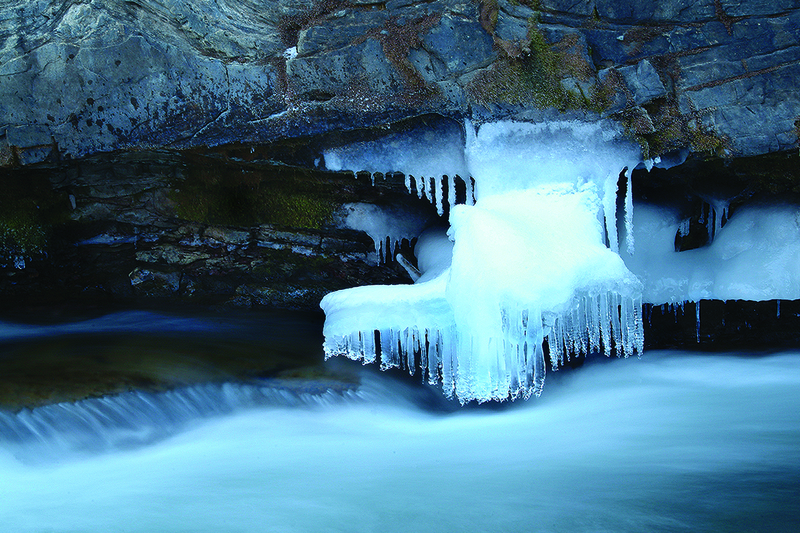 The high country snows are melting, peaking river flow occurs around the third week of the month. Trees are early summer green and the peaks are still pretty white. Several events occur in June from the hot air balloon fest, WOW the Telluride Work Out Weekend Festival, the 42nd Annual Bluegrass Festival, www.bluegrass.com/telluride/, and the Telluride Wine Festival, http://telluridewinefestival.com/, wraps up the month. The Telluride Academy kick into gear, http://www.tellurideacademy.org/, the AhHaa Art School, http://www.ahhaa.org/, offers kid and adult classes. July 4th week is a busy time in Telluride. The parade and fireworks are unbelievable. The Ride Festival, http://ridefestival.com/, will feature Pear Jam this year playing their smallest venue of 11,500 guests, the weekend of July 9 & 10. The AhHaa Art Auction is one of the great Town parties of the summer. The Telluride Yoga Festival and the Playwrights Festival closes out July. The end of July is also the peak period for the high country wildflower bloom. Telluride’s high country is very accessible by foot on the myriad of trails and old mining roads. The high country garden is not to be missed! The fishing in the San Miguel is good in July, as long as the rains don’t mess up the water. August and even July will most likely bring some refreshing rain, followed by spectacular rainbows over Telluride in the late afternoon. Always bring some rain gear for longer hikes. It’s a good idea to head out early and be heading down by noon! the 40th Telluride Jazz Festival will be August 5 – 7 this year. Smaller and more personal than the bigger summer events, it’s a favorite. August also brings the small Chamber Music Fest now in it’s 43 rd year. The Mushroom Festival is a good one. For much of August we forage for Chantrelles and King Boletes (Porcini). Pretty Lights put on another sell out show August 26 & 27, http://prettylightsmusic.com/. The fishing continues to be good. September Its hard to believe that this years Telluride Film Festival, http://www.telluridefilmfestival.org/show, is the 43rd. Tickets sold out early this year. It’s probably the one event which has given us world wide attention over the years, with many Academy winners premiering here. 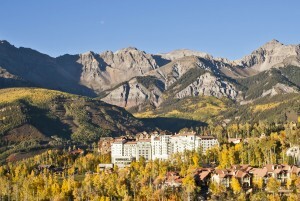 The Blues and Brews Fest, http://www.tellurideblues.com/, is our last big music weekend of the summer. By the last week in September and the first week in October, the fall colors are at their very best. Often an early snowfall in the high country will create a stunning contrast to the gold and green of the trees. October like June can be a gorgeous month of sunny days. It’s certainly cooler, especially in the evening, but the days can be beautiful. By the second week the leaves are off the trees, tourists have gone home, and we wind down the summer season. The first big snow often arrives by Halloween. You’ll hear locals say that ‘they came for the winter and stayed for the summer’, because the summer is just that good. I ride my road bike and mountain bike in the summer, I hike, and jog and fish, I pick mushrooms, I enjoy the festivals and long days. There’s not a day that I’m not thankful that I arrived and stayed here. November is quiet, really after Blues and Brews in September things slow down quite a bit. The guests and second home owners are gone, the weather is yucky, and we begin to pray for snow. Thanksgiving is our historical opening week for the ski area. Skiing is often pretty limited at this time. Families come to be to gether first and ski second at this time. December is pretty quiet until the final 2 holiday weeks. Value travelers often come the first two weeks of December. The Christmas week is typically busy, the New Years week we’re at 100%. By this time we hope for lots of snow. Christmas can be a wonderful time in Telluride. Plan in advance for dinners out or if you hire a chef for the week, as well as ski instructors. I can be instrumental in booking your needs over the holidays. Torch light parades, fireworks, music events and parties are plentiful. January can be a great month to ski in Telluride. It’s a little more quiet post holiday. Martin Luther King weekend there is an uptick in the number of guests. Of course Telluride is never that busy! February Skiing now picks up in terms of quality and quantity of snow, President’s week is busy. The Telluride Mountain is an awesome one. I’ve skied here every year since 1978, and have never been bored. Great terrain and unbelievable views. March is our best month historically for ski conditions. Plenty of snowfall and warmer days. The winter season is of course primarily focused on Alpine skiing, although I enjoy Nordic skiing immensely, I also ride a very fat tire snow bike in the winter, and in the last couple of years I’ve started a new sport of hiking the ski trails of Lift 10, and sledding down! http://www.hammerheadsleds.com/. There are several venues which offer music during the winter months, including the historic Sheridan Opera House in Telluride, the Palm Theatre, our largest venue, the Conference Center and ‘Club Red’ in Mountain Village. Our restaurants are superb… summer and winter. I encourage reservations well in advance for all of them. April the ski area closes usually over Easter. The entire Town goes on vacation for two weeks at this time of the year. I usually stay and work! Guests and second home owners are not here in April… because there’s no reason to be! Telluride is only 2.5 hours from Moab, a desert landscape of spectacular hiking and cycling trails. In April and May we often retreat to Moab for sun and fun!